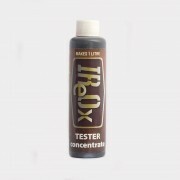 100ml IReOx concentrate which makes 1 litres by dilution. If you would like to test IReOx and discover that it meets all the claims we make, or if you just have a few nuts and bolts to strip of rust, this is the 100ml 'Tester' size which we sell at £2.99, including postage, to prove..
FREE SHIPPING ON THIS PRODUCT! Container of IReOx concentrate 1 litre in size which makes 10 litres by dilution. 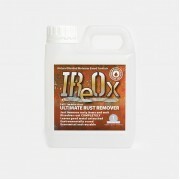 Full instructions at: www.ireoxrustremover.co.uk ABOUT IReOx IReOx (pronounced "e-re-ox") is a rust remover, not converter. It completely removes rust from stee..
FREE SHIPPING ON THIS PRODUCT WORTH £7.99 (ITS HEAVY) Container of IReOx concentrate 2.5 litres in size which makes 25 litres by dilution. 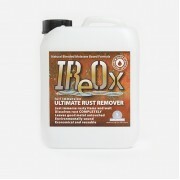 Full instructions at: www.ireoxrustremover.co.uk ABOUT IReOx IReOx (pronounced "e-re-ox") is a rust remover, not converter. It c..
FREE SHIPPING ON THIS PRODUCT WORTH £7.99 (ITS HEAVY) Container of IReOx concentrate 5 litres in size which makes 50 litres by dilution. 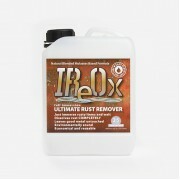 Full instructions at: www.ireoxrustremover.co.uk ABOUT IReOx IReOx (pronounced "e-re-ox") is a rust remover, not converter. 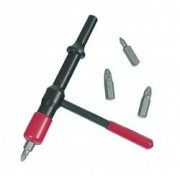 It com..
IReOx (pronounced "e-re-ox") is our immersive rust remover. 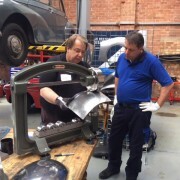 It leaches the rust from steel, even getting into the threads of fasteners so if you are able to immerse the item, such as a suspension arm, drop link etcetera and leave it for a few days, there is no easier solution for freeing r..